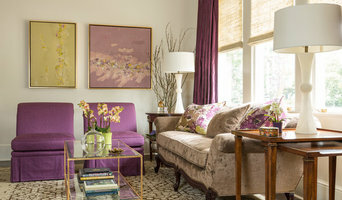 Since 2008, Source Interior Designs has become the source in New Orleans for design professionals and enthusiasts alike. Our new 2,000 square-foot warehouse and studio in the Riverbend area of New Orleans offers our clients a private shopping and design experience that boasts a one-of-a-kind selection of Swedish, French, and Italian antiques alongside vintage and modern lighting, accessories and original art. We are also the exclusive New Orleans retailer of Michele Varian pillows and Pacific Connection lacquer boxes.In addition to housing a well-stocked collection of hand-picked furnishings and gifts, Source Interior Designs is the source for everything from complete office and home decoration to design services ranging from architectural drawings and consultations to custom draperies and upholstery. 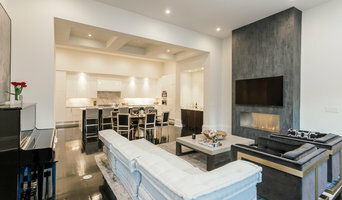 At Source, we are eager to share our unique design perspectives with you - the discerning client - to help you realize the home you’ve always imagined. What are the benefits of working with custom furniture makers in Pearl River, LA? Whether you’re looking for a custom couch or a new set of custom chairs, it can be difficult trying to find something that matches the rest of your decor and that fits into your space. But when you’re using the furniture in your home almost every day, it’s important that it works and brings you joy. Outfitting your home with custom made furniture ensures that your interior spaces work with your lifestyle and tastes. You’ll be able to specify just how big or small you want a piece to be so that it fits right into your home. You’ll also be able to match wood finishes to the rest of your furniture and pick out upholstery colors or patterns that reflect your style. While working with local Pearl River, LA furniture makers might seem like a big project, you’re likely to end up with a high-quality piece perfectly suited to your lifestyle and meant to last for years to come. Even if you like the sound of having furniture made specifically for your home, you may be wondering how to even begin. First, you should take some measurements of your space and the other furniture you have. Consider the colors and style of the room and how a new piece might fit in. Many custom home furniture companies in Pearl River, LA will be able to give you a choice of different configurations and designs that you can choose from. They may also have pieces that are already made, so you might take some inspiration from those designs. Whether you’re looking for custom wood furniture for your dining room or a custom sofa for the living room, Pearl River, LA furniture makers near you will be able to take your ideas and make something lasting out of them.